Vibrantly bold, spicy and backwoods rustic, with a smidgen of honey and coconut. You’ll be amazed at the balanced flavor and fuller mouthfeel. ​It’s good old American ingenuity you can taste. This is not your grandfather’s harsh tipple. 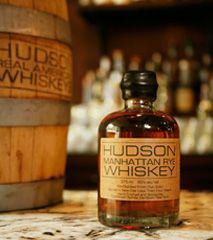 Bottled at 92 proof, this is honest rye whiskey – spicy and rustic, yet smooth.